PlayStation gamers eagerly awaiting the Sony PS5 may have just got a tantalising glimpse into one of its biggest weapons in the next-gen console war against the Microsoft Xbox Two. 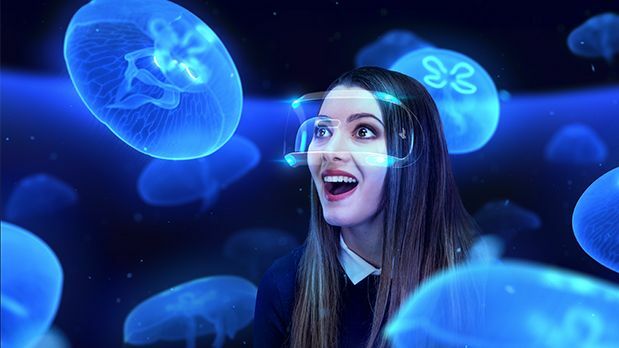 That's because a new patent, published on April 4, 2019, and belonging to Sony Interactive Entertainment Inc. Tokyo, has revealed technology designed for a brand-new PlayStation VR headset that includes an integrated eye tracker and delivers super powerful new "foveated rendering" graphics. If you're unfamiliar with the term "foveated rendering", simply put, it's something that gamers should be very excited about. In a nutshell, by using a virtual reality headset with an integrated eye tracker, this technology will allow areas of a virtual world a gamer is not looking at to be rendered at a lower level of graphical quality. As such, virtual worlds can be much more expansive – since not all of the environment will be rendered in high-resolution at all times, something that would make the world too much for most mass-market processors to handle. It also means the fidelity of whatever the gamer is focusing on can be more graphically impressive. When you factor in the official Sony Interactive Entertainment patent published on March 14, 2019, which showed a completely wireless PSVR headset, an image of what the Japanese maker is apparently working on right now for the PS5 becomes clear. An image taken from an official Sony Interactive Entertainment patent depicting a next-gen wireless PSVR headset. Sony appears to be building a new PlayStation VR headset to be powered by the PlayStation 5 that not only is totally wireless but also capable of displaying wondrously huge, graphically impressive virtual worlds. Virtual worlds that far exceed anything possible right now on a PS4-powered, wired, non-eye tracking, original PlayStation VR headset. An insanely powerful new PS5 console was one thing Microsoft had to factor in when planning its strategy to counter Sony's next-gen assault, but a super-powered new PlayStation VR headset, too? That could be a sortie too much for the next Xbox, which according to everything we know so far about the console and the wider Xbox Scarlett program, has no VR headset weapon in its armoury to counter with. Could a new super-powered PSVR headset be the weapon that wins Sony the next-gen console war? If the technology detailed in these patents is brought to reality in a Sony PlayStation consumer VR product, it might well do, with Xbox gamers' heads turned. For that to happen, though, the new PSVR headset with integrated eye-tracking would have to be sold for significantly less than the other headset recently announced with the tech, the Microsoft HoloLens 2, which is set to cost $3,500 at launch. You can check out the HoloLens 2 launch video above. While Sony has pulled out of E3 2019, ruling out a reveal directly at the show, hopefully we will hear more about the PS5 and any potential PSVR successor at a dedicated PlayStation event, or later in the year at PSX 2019.